Here are the best PS3 co-op games of all time. The PS3 is a great console to own if you want to play some co-op games with a buddy or three. While Diablo III is more known for its PC and current gen versions, the game’s console debut was on seventh gen systems, including the PS3. This version is still a great way to play the critically acclaimed dungeon crawler – which can be enjoyed in either local or online co-op with up to four players. Stealthing with a buddy in either online or local co-op is just as good as you’d imagine it would be. Splinter Cell: Conviction’s co-op campaign is completely separate to the adventures of Sam Fisher, but it doesn’t leave behind any of the great stealth mechanics from the single-player campaign. 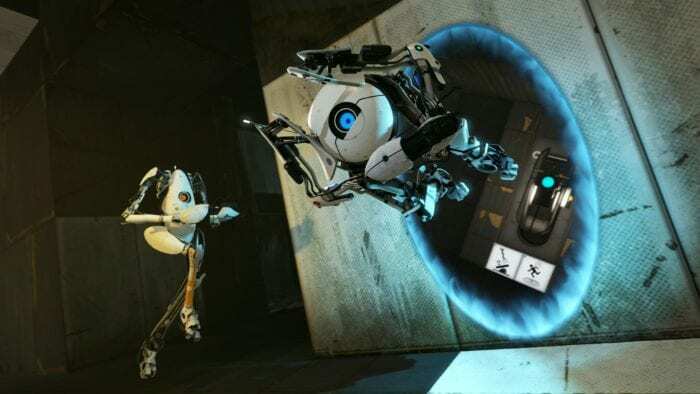 Portal 2 features a lengthy co-op campaign that requires you to think quite a bit differently about how you’re using your portals. It has its own characters, story, and puzzles, so it’s definitely something that all Portal fans need to check out. Fat Princess is a cutesy strategy game, exclusive to the PS3. Players have to save their princess while keeping ahold of the enemy teams captured princess. Feeding the captured princess slices of cake will make her fatter and harder to capture. In 2010, the game received a patch that added support for split-screen co-op. Ibb & Obb is a puzzle platformer where each character is on a different side of the horizon. Actions taken on one side of the horizon will affect what happens on the other. You’ll have to work very co-operatively in order to make it through this one. Red Dead Redemption includes a bunch of different modes: a large single-player campaign, some versus multiplayer modes, and of course, online co-op. You can roam the plains of early 20th century America with your friends, and take on different missions and challenges to level up and earn new mounts. Although the game isn’t known for it, Far Cry 3 actually has a pretty decent multiplayer mode that is set six months prior to the events of the single-player campaign. You play as a group of four sinners who attempt to take down pirates after being scammed out of their money. In Rainbow Six Vegas 2, up to four people can play the game’s Terrorist Hunt mode. You must team up to take down all of the enemies on a map of your choice. The story mode can also be played alongside a friend, and includes a split-screen mode. The PS3 wasn’t exactly known for its amount of beat ’em ups, but that doesn’t mean that it isn’t home to one of the best. If you take Streets of Rage and combine it with Dungeons & Dragons, then you end up with Dragon’s Crown – a beat ’em up with in depth RPG elements. Resident Evil 6 really isn’t the best Resident Evil game to play in single player, as it doesn’t include the slow-paced tense exploration that the older games had. However, it’s still a mindlessly fun time to partner up with a friend in co-op and mow down some zombies. The servers to Killzone 3 have recently shut down, which means that you can no longer play the online multiplayer modes. Luckily, Guerilla Games implemented a split-screen co-op campaign, so you can still enjoy the game alongside a second person. World at War was the first Call of Duty game to introduce the famous survival mode known as ‘Zombies.’ It also had a great co-op campaign. Diablo is great and all, but you know what would make it better? Marvel superheroes. 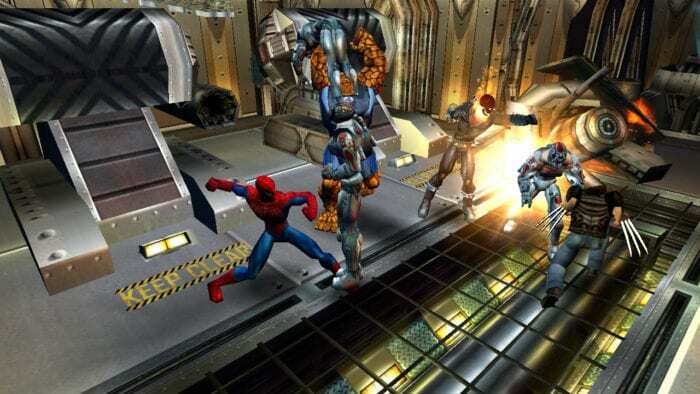 That’s basically what Marvel Ultimate Alliance is. If you’re looking for an alternative to Diablo, check out Dungeon Siege III. Join with up to three other players and complete quests as you explore this medieval fantasy world. An over-the-top, Japanese third-person PvE shooter – mechs included! Resistance was one of the first PS3 games to exist, releasing right alongside the console on launch day. It was a great first-person shooter that also featured a full co-op campaign. Resistance 2 and Resistance 3 both improved on the gameplay, and can also be fully enjoyed in co-op. Modern Warfare 2 done away with World at War’s Zombies mode, but replaced it with something just as fun: Spec Ops. In Spec Ops, you and a buddy have to work your way through a number of condensed missions. Try and go for all 69 stars! The Lego games have featured excellent drop-in/drop-out co-op campaigns ever since Lego Star Wars on the PS2. The PS3 has tons of different Lego games that you can choose from – my personal favorites being Lego Star Wars: The Complete Saga and Lego Marvel Superheroes. Perhaps the most versatile co-op game in existence. Rock Band 3 upped the ante of previous games with multiplayer support for up to 7 people locally; you can connect a drum set, a keyboard, two guitars, and three microphones to one PS3. With upwards of 1000 additional songs to download, his game can keep you busy for a very long time. Oftentimes, tower defense games are only a single-player affair, but Pixeljunk Monsters allows for a friend to jump in with its local co-op capabilities. In this tower defense game, instead of merely controlling a cursor, you can both run around as your own character to collect resources and build. Sonic’s Ultimate Genesis Collection contains a bunch of great co-op games. Golden Axe and Streets of Rage are two of the best beat ’em up franchises ever, and make the package worth it alone. Then there’s other cool ones like Altered Beast and Sonic the Hedgehog 2. From the creators of Spyro and Ratchet and Clank comes something completely different – the third-person co-op action game Fuse. 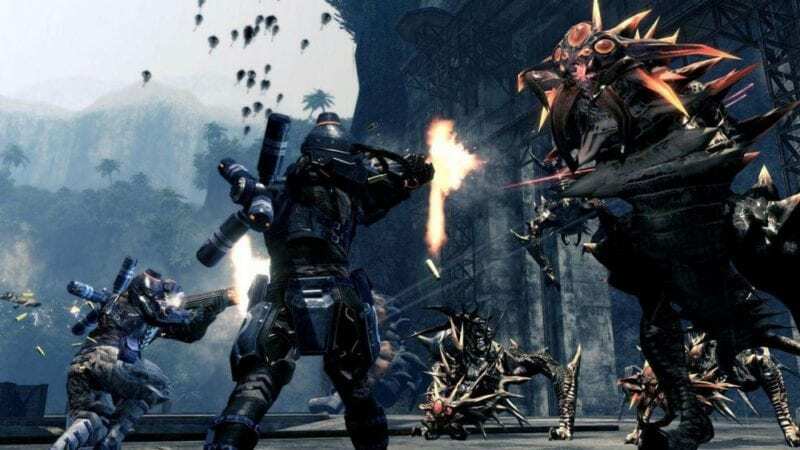 It plays similarly to the Gears of War series, and even has is own horde-esque mode called Echelon. Resident Evil 5 was the first game in the series to feature co-op. It still features the ammo conservation that the Resi series was known for, and you’ll have to be swapping supplies with your partner to make sure that you’re well prepared to tear down some zombies. In Kane and Lynch: Dead Men’s co-op mode you play as, well, Kane and Lynch, of course. Kane comes equipped with an assault rifle and a pistol, while Lynch packs a a shotgun and a revolver, and is also prone to hallucinations where his vision goes all funky. Helldivers is a cool top-down twin stick shooter. Friendly fire is turned on in this one, so be extra careful! Play as a wizard, thief, or knight in this fantasy side-scrolling puzzle platformer. Dungeon Defenders splices a bunch of different genres together: tower defense, RPG, and action. Up to four people can play this one in co-op, and it even has cross platform support with PlayStation Vita. Rayman Origins is the first 2D Rayman game on a home console since the original. Not only did it bring with it the UbiArt art style, but also four player local co-op. The excellent Xbox Live Arcade exclusive eventually made its way to PS3. Castle Crashers excellently mixes beat ’em up gameplay and RPG elements, and can be entirely enjoyed in up to four player co-op. The PS3 version also has an exclusive volleyball mini-game! As the name implies, All 4 One is a four player co-op game set in the Ratchet & Clank universe. You can play as Ratchet, Clank, Captain Qwark, and Doctor Nefarious, and drop-in or drop-out on the fly both offline and online. Eternal Sonata is a JRPG where you can play as a fictional version of the real-life composer Frederic Chopin! The game is mainly single-player, but you can have a friend join you in the game’s combat to control a second or third party member. 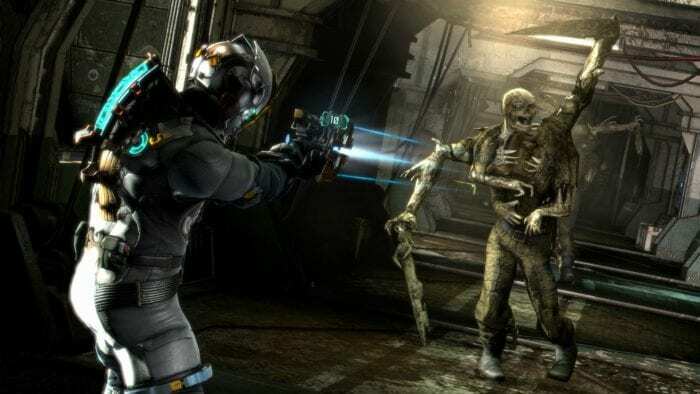 Similarly to Resident Evil 5, Dead Space 3 was a big turning point in the series, as it focused less on the horror, and more on the action. As a result, like many third-person action games, it is best enjoyed alongside a buddy in co-op. Double Dragon is one of the most famous beat ’em up series, dating all the way back to the arcades and NES. Beat ’em up fans can play a modern version of this classic franchise on PS3 with Double Dragon Neon. Lara Croft and the Guardian of Light took the great action/adventure gameplay of the Tomb Raider series and shrunk it down into an isometric co-op game, while still retaining the quality of the franchise. A love letter to all Beatles fans. The Beatles Rock Band takes you through ten years of the band’s history, complete with the Liverpudlians different looks, and a whole host of dreamscapes that help visualize the songs. It shouldn’t be hard to find a few Beatles fans to join you for this one. The second game in the LittleBigPlanet series is beefier than its predecessor, including a lot more than just platforming. The expanded level editor allows you to make, for example, racing levels or shoot ’em ups. There aren’t many games that are genuinely spooky that can be played in multiplayer. If you and a friend are looking for a few scares in your co-op game, then check out F.E.A.R. 3. While the PS3 version of FIFA 18 doesn’t feature the gameplay updates of the PS4 version (it is really just FIFA 17 with updated rosters), that doesn’t mean that it isn’t a great soccer game. War in the North follows Eradan the ranger, Andriel the loremaster, and Farin the champion as they assist Frodo from afar. It’s a cool action RPG with a campaign designed for co-op. If you have a couple PlayStation Move controllers, then you have to check out the insanity that is The House of the Dead: Overkill. If you thought the numbered games were cheesy, you have no idea. Definitely among the best PS3 co-op games of all time. The last of the Guitar Hero games to feature the traditional 5 lane gameplay. Outside of Guitar Hero Metallica, Warriors of Rock features the most metal soundtrack in the series, probably making it the hardest Guitar Hero. The career mode mixes up the gameplay with new mechanics and some awesome cutscenes. Army of Two is a co-op game first and foremost. There are unique sections of this third-person shooter that are cleverly designed for co-op. For example, one person shields while the other shoots. Uncharted 3 isn’t really known for its co-op, but that doesn’t mean that it isn’t quite good. There are co-op arena modes, as well as adventure modes that play similarly to the single-player campaign, but with a buddy. Tales of Graces F allows a second player to join in during battles by just connecting a second controller. 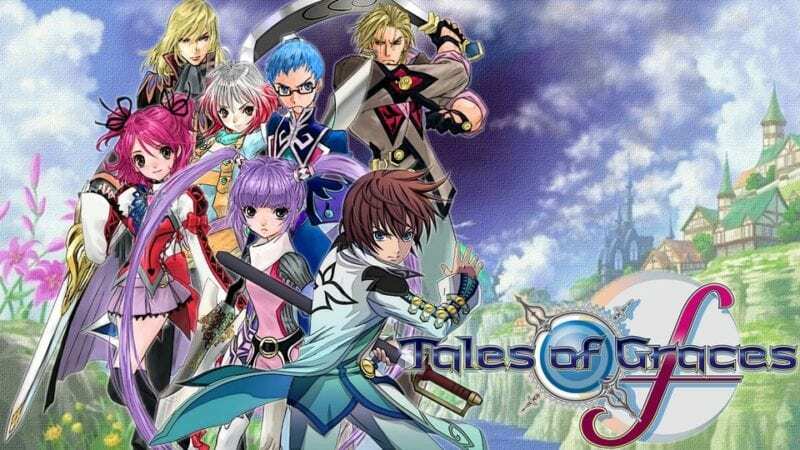 The real-time action combat of the Tales series works great in co-op. Borderlands was pretty unique at the time it released. It’s like Halo meets Mad Max meets Diablo. If Borderlands’ wastelands are a bit lonely for you, this first-person shooter/RPG hybrid can be played entirely in co-op. Whether you pick up the first game, the second game, or the Pre-Sequel, you’re getting an awesome co-op experience. Dead Nation released at a time when zombie games were all the rage. If you want to mow down hordes of zombies, you can certainly do that in Dead Nation, and there’s a bunch of different zombie types to take down too. It’s a fun top-down action game with upgradable weapons. Team up with a friend, gather some supplies, then build a house together. Or destroy your friend’s house that they’ve spent hours making, just because you can! (Although that wouldn’t be very co-operative.) That’s just a few things that you can do in this sandbox games. We still haven’t seen a Twisted Metal on current gen consoles, so if you want the most modern that the series has to offer, then you’ll have to pick up the PS3 game. And it still holds up very well, especially the co-op. You can team up with a friend in the game’s split-screen co-op to violently blow up some enemy cars. Dead island is like Borderlands, but with zombies! However, there’s more of a survival aspect to this one. Grab two guitar peripherals and rock out with a mate. The co-op mode features brand new charts, with the second person playing along with the bass or rhythm guitar part. There are some songs in the game that can only be unlocked by playing through the co-op career mode – from some big names, too, like Beastie Boys and Red Hot Chili Peppers. That does it for our listing of the best PS3 co-op games of all time! Hope it helped you out. Here are some more posts like this if you need them! Here’s one for the best Xbox 360 Co-Op games. Then, I’ve got the best couch co-op games on PS4, Xbox One, and PC. While Diablo III is more known for its PC and current gen versions, the game's console debut was on seventh gen systems, including the PS3. This version is still a great way to play the critically acclaimed dungeon crawler - which can be enjoyed in either local or online co-op with up to four players. Is Jurassic World Evolution Coming to PS3?